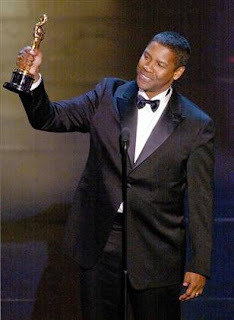 VinTank = Denzel Washington In a Tuxedo? They say economic downturns birth innovation. Apparently there's some evidence of that, too. Here's some more. Back in April we wrote about the proliferation of virtual clearing houses- online merchants doing one-at-a-time sales blasts of surplus inventory wines. The models behind these are each a little different, but the idea is the same. Early on, these sites were a haven for the bargain hunter, but the attraction has waned of late. Rather than driving costs lower, saturation in this market seems to have created margin hoarding. Outside the occasional sizzler, real deals have largely given way to hype-fueled marketing. That's why the advice we've underscored to our newsletter subscribers is to only consider purchasing wines you've had and know to be good (everything else is speculation), research pricing (as you'll often find it cheaper elsewhere), and factor the shipping and other premiums into the price before pulling the trigger. From an economic standpoint, one could argue that these clearing houses serve an important function to an industry in distress: bringing quick cash infusions to wineries which are otherwise suffering the doldrums of a nearly stagnant marketplace. They also bring price competition to consumers, so there's a lot to love about them. However, from a macro perspective, any new players (or "Helpers" as Warren Buffett calls them) coming into the market simply represent a temporary stepping stone to a more pure form of efficiency. Well, we have a glimpse into the future today. The geniuses at VinTank, a digital think tank for the wine industry, have figured out what that more pure form of efficiency is. Paul Mabray, Chief Strategy Officer and Disruptor at VinTank, made an announcement on Wednesday about what that purity looks like. You can read the piece on his blog, but the gist of it is that they're facilitating - through Facebook - "a closed network community where ANY winery can offer deals to consumers WITHOUT any fees whatsoever". Dubbed 'Deals From the Vines', Mabray refers to this as "a social commerce experiment". Call it what you want, but with no Helpers standing between wineries' excess inventory and your thirsty mouth, high quality wine is suddenly becoming much more accessible, much less expensive, and more readily profitable to producers. What remains to be seen is whether this idea can gain traction on a scale to be a game changer. Key among the factors is how many wineries will find this avenue palatable. Though it shouldn't come as any surprise in the current economic climate, the long term impact to participants' brand equities seems to have taken a back seat - at least for now - to short term cash flow. Case in point: a recent offering for 2005 Far Niente Estate Cabernet Sauvignon. Normally $125, Deals From The Vines is publishing the offer for $50. Still, there's nothing to say that this same model wouldn't work any less efficiently in a less desperate market. And we can't wait to find out. While our advice to consumer remains unchanged, if smart is the new black, then VinTank is Denzel Washington in an Armani tuxedo. Thanks to Joe Roberts for bringing this to light. I wouldn't necessarily assume the wineries involved are desperate. What DFTV brings is a focused audience of serious wine buyers. That sort of access is golden for any business. Remember that one of the biggest costs of doing business is acquiring new customers. If I can secure a bunch of new high quality customers by offering a short term "loss leader" discount, I'll do that any day in any economic climate. Wow, just wow. Thank you for the kind words and support. It is my hope that this becomes a great channel to help wineries connect with customers. Your post made our day/month/year. Great point about gaining a targeted audience of qualified new customers. But if you think that high end wine is anything other than desperate, then we're not looking at the same marketplace. Regardless, the beauty of this model is that it should scale up and down the price ladder - and in a stronger market, too. Sweet shoes, by the way. Love your brand of innovation. There is so much cost and so little value in the current three tier system. Huge kudos to you guys for the awesome ideas! Well, I said "I wouldn't necessarily assume...", but the reverse is of course also true - some of them are going to be desperate. I don't live in that high end marketplace so I can't comment on that. In any case, you're right about the model scaling. And I'm glad you like the shoes!